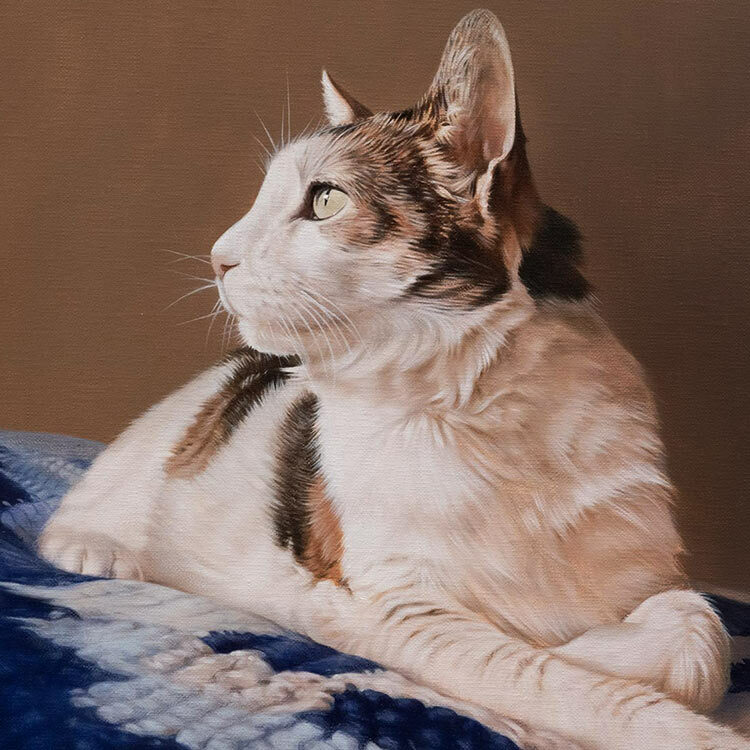 The portrait of Mitzy was commissioned by Helen as a Christmas present for her husband in 2018. 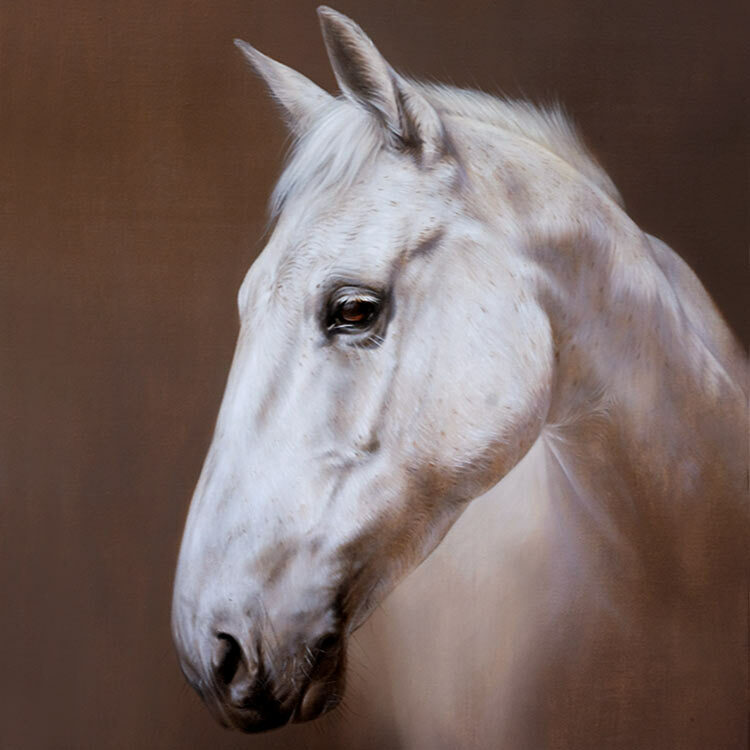 The oil painting was 14 x 11 size and framed by our framer in the Claremont frame. it matches perfectly! Helens husband was thrilled with the surprise and Helen took a photo of Andrew with his painting. If you would like to see the portrait of Mitzy in more detail, pop over to our cat portraits website and take a look at all of the photos. Cat Portrait of Mitzy. The stages you have sent are great! It's going to be so good to see how the portrait builds. 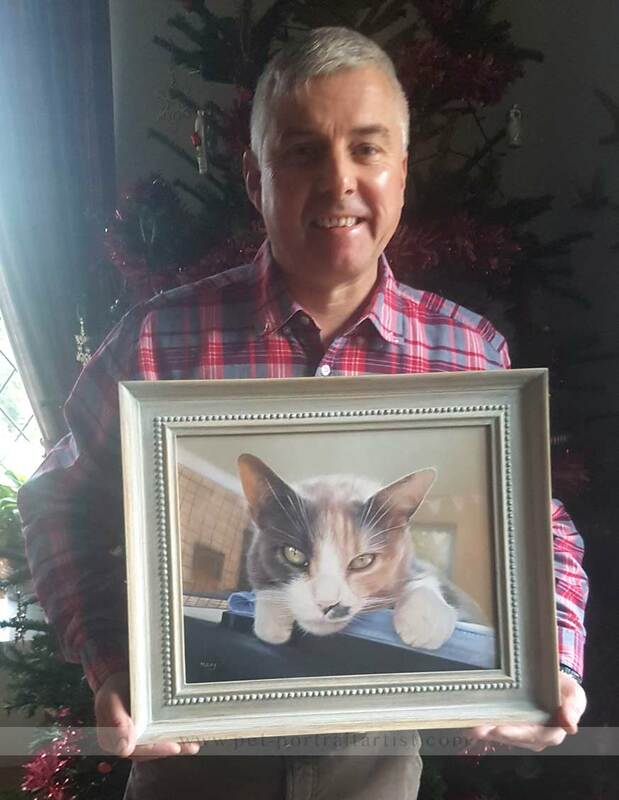 My husband, Andy, and I miss Mitzy so much but this wonderful portrait will be such a pleasure to look at every day and will remind us of happy times with our unique and special cat. Have a lovely weekend and look forward to further updates.